The 4x100 girls squad from Chaminade Julienne took the win in 48.89. This result usurped the previous top mark of 49.50, held by Meadowdale from the 2006 campaign. Wayne claimed the Sprint Medley (100-100-200-400) win due to their 1:33.10 showing. Dunbar previously held the top time. The Warriors winning quartet consisted of: Zarik Brown, Justin Harris, Jaden Roberts & Alijah Flemming. Dalton Shepler / Vandalia-Butler secured the pole vault win with a record performance - Read about it HERE! 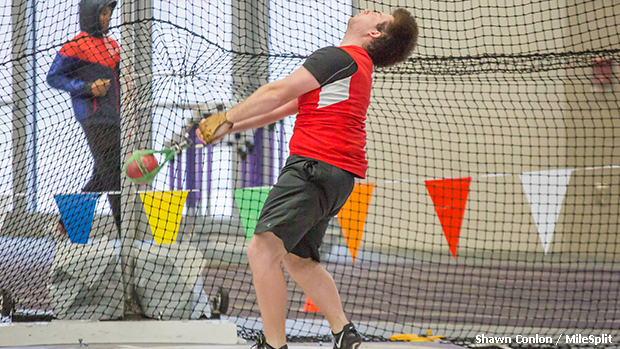 Dylan Beaird, who also excels at the weight throw, established a new hammer record (201-3). * Thanks to Coach Fernandez for providing a historical breakdown of the Warrior Relays.